The recognition honors Dow Vietnam for its active contribution to the sustainable development and betterment of the community. 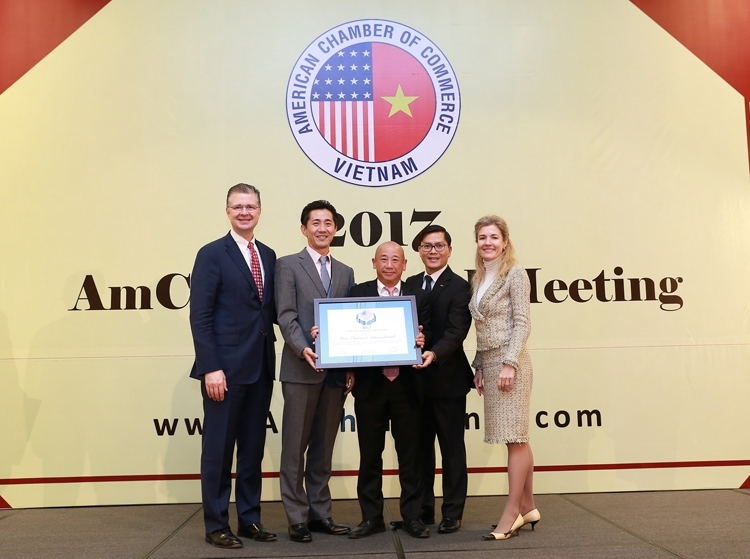 Dow Vietnam wins AmCham CSR Recognition Award for the third year in a row as a reinforcement for the Company’s long-term commitment to Vietnam’s market. The award honors Company’s successful endeavors to promote the sustainability of Vietnamese community and to address local pressing challenges to positively impact the lives of thousands of the underprivileged. “Dow has been supporting Vietnam’s industries to develop sustainably since 1995. We value Corporate Social Responsibility a founding principle contributing to our business success in Vietnam as well as to the betterment of the Vietnamese. We see this award as a testament to our long-term commitment to the sustainable development of Vietnam and as an encouragement to Dow Vietnam’s CSR initiatives in the future,” highlighted Mr. Tomoyuki Sasama, General Director of Dow Vietnam. In 2017, Dow Vietnam did implement new community projects. 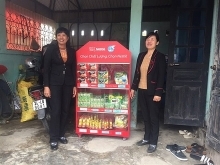 As a Vice-Chair of Vietnam Business Council for Sustainable Development, Dow introduced a new concept of Circular Economy to the Vietnamese business community to reduce waste and minimize the dependence on raw materials. Dow Vietnam donated 10 water purification devices to schools and hospitals in Vietnam to provide safe and clean drinking water to thousands of pupils, patients and people in need, teaching the schools and hospitals to apply business operation model to run the water systems sustainably. Furthermore, Dow has been implementing “building houses, building hope” projects for the underprivileged; collaborating with Vietnam Transportation Safety Association to enhance the awareness of traffic law compliance and transportation safety to thousands of pupils in Hanoi; and providing scholarships to help Vietnamese young generation develop their talents. 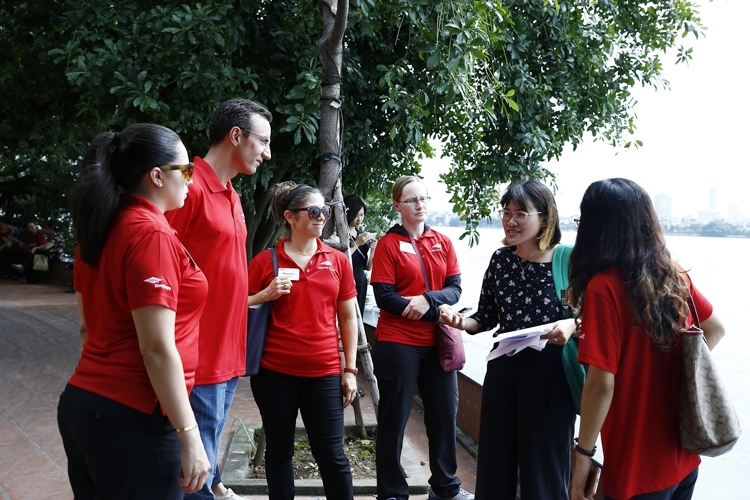 Significantly, for the first time, Dow’s fifth annual Leadership in Action (LIA) program reached out to Vietnam. 43 employees across the globe collaborated with six strategic non-governmental organizations (NGOs) and universities in Hanoi and Hai Phong, Vietnam to address issues related to water quality and access, environmental cleanup, education and career readiness that contribute to the betterment of the Vietnamese. The six signature projects included: Reducing environmental engineering program and industry gaps to support graduates to easily get jobs in both local and domestic companies; Revising university curricula and developing new subjects relating to green growth and sustainable development; Restoring and protecting the ecosystem of West Lake aided by the development of a comprehensive baseline database for West Lake’s depth, water quality, ecosystem health and water pollution sources; Encouraging greater participation of local people in the citizen science model in water resources monitoring; Creating sustainable solutions for rural waste reduction in partnership with Ocean Conservancy; Enhancing university training capacity on soft skills such as leadership, communication, teamwork and problem solving skills. It is also in 2017 that Dow in collaboration with Chemical Society of Vietnam launched the hands-on STEM education program for chemistry students to develop chemical industry a highly-responsible and well-qualified workforce as a crucial part of a sustainable economy. Accordingly, Dow organized 7 field trips for more than 400 of the country’s best chemistry students all over Vietnam to arouse their passion for chemistry occupation and offering them an opportunity to access Vietnam chemical industry. In addition, a workshop on human resources development was also organized with the participation from chemistry lecturers, chemical manufacturers and managers to share experience on industry workforce training, green chemistry nurturing as well as the sustainable development of Vietnam chemical industry. 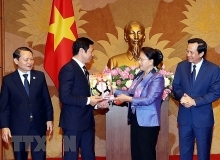 “AmCham’s Corporate Social Responsibility Recognition Award Program is designed to raise awareness of CSR among AmCham members and the community, and to provide recognition to firms with best practice CSR programs in Vietnam. 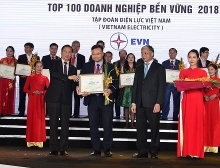 We are delighted to see Dow Vietnam in the winner list for three consecutive years. Congratulations to Dow Vietnam and we expect to see them expand their efforts to more localities in here,” appraised Mr. Adam Sitkoff, Executive Director, AmCham in Hanoi.